Medications help us improve and prolong our lives by curing, treating, and preventing disease. However, failure to responsibly store and dispose of unused pharmaceuticals can lead to serious health, safety, and environmental risks. Support PSI’s drug take-back efforts today. Prescription drug abuse is the fastest growing drug problem in America and has been classified as an epidemic by the U.S. Centers for Disease Control and Prevention (CDC).1 Every 14 minutes, an American dies from a drug overdose – leading to 100 deaths per day in the U.S.2,3 In fact, today, unintentional prescription opioid overdoses kill more Americans than cocaine and heroin combined.4 Seven out of 10 people who abuse prescription drugs get them from friends and family, often from medicine cabinets. This is especially alarming because that number includes 12 and 13-year-olds, who report abusing prescription drugs more than any other type of drug. Every 15 minutes, a child under the age of four will overdose on drugs found at home.5 Among children, emergency room visits for accidental drug poisonings are twice as common as poisonings from other household products, such as cleaning solutions. Every year across the U.S., prescription and over-the-counter drugs are manufactured, marketed, prescribed, and discarded at extraordinary rates. The exact quantity of unused and expired pharmaceuticals in American homes is currently unknown; however, evidence from a broad range of sources indicates that approximately 2 out of 3 of the almost 4 billion prescriptions dispensed in the U.S. every year go unused and become waste.6 As a result, medications steadily accumulate in the home, where they become accessible to potential abusers, as well as unknowing seniors, children, and pets. When flushed or disposed of in the garbage, many over-the-counter medications and prescription drugs end up in waterways, causing harm to the ecosystem and potentially affecting sources of drinking water. Wastewater treatment plants are not designed to filter out pharmaceutical compounds, so trace levels are often detected in treated municipal water supplies. A 2002 study conducted by the U.S. Geological Survey found that 80 percent of streams tested across the country were contaminated with at least one pharmaceutical, personal care product, or other organic wastewater contaminant.7 Although there are multiple sources of pharmaceuticals entering our waterways (e.g., human excretion and agricultural runoff), the improper disposal of medicines in the trash and by flushing represents a key source of preventable environmental contamination. In 2014, the U.S. Geological Survey (USGS) conducted the first national assessment of chemicals in landfill waste in the United States.11 Landfills are the most common disposal mechanism for solid waste from residential, commercial, and industrial sources in the U.S., so landfill leachate— water that has passed through landfills— contains a spectrum of chemicals that reflect our daily activities. The USGS found that pharmaceuticals, personal-care products, and other contaminants of emerging concern are widespread in leachate. This study of 19 landfills across the country found 80 pharmaceutical chemicals in untreated leachate samples. These data show that while flushing medicines negatively impacts our waterways, there are risks to disposing of medicines with the household trash as well. 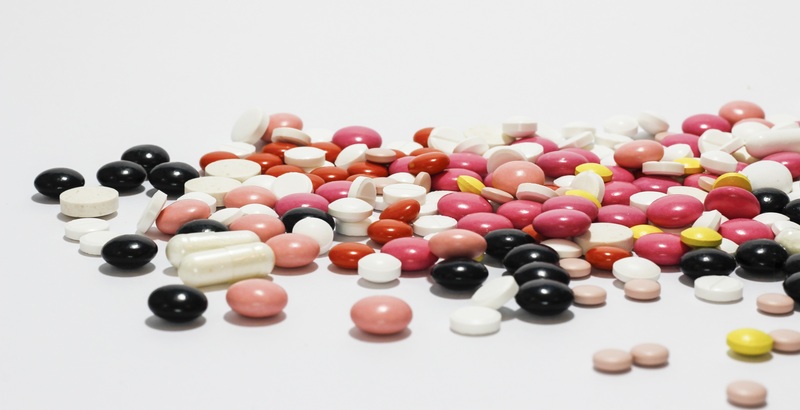 Follow these guidelines when considering the best drug disposal method. U.S. Centers for Disease Control and Prevention (CDC). (2011). Policy Impact: Prescription Painkiller Overdoses. Retrieved 7 July 2013 from http://www.cdc.gov/homeandrecreationalsafety/rxbrief/. U.S. Centers for Disease Control and Prevention (CDC). (2013). Opioids drive continued increase in drug overdose deaths [Press Release]. Retrieved 24 September 2013 from http://www.cdc.gov/media/releases/2013/p0220_drug_overdose_deaths.html. Centers for Disease Control and Prevention. (2012). Wide-ranging Online Data for Epidemiologic Research (WONDER). Retrieved 7 July 2013 fromhttp://wonder.cdc.gov/mortsql.html. Center for Disease Control and Prevention (CDC). (2011). Policy Impact: Prescription Painkiller Overdoses. Retrieved 7 July 2013 from http://www.cdc.gov/homeandrecreationalsafety/rxbrief/. Department of Health and Human Services, Centers for Disease Control and Prevention. (2011, November). Prescription painkiller overdoses at epidemic levels kill more Americans than heroin and cocaine combined [Press Release]. Retrieved 12 Dec. 2011 from http://www.cdc.gov/media/releases/2011/p1101_flu_pain_killer_overdose.html. National SAFE KIDS Campaign (NSKC). (2004). Poisoning Fact Sheet. Retrieved 20 Dec. 2011 from http://www.takebackyourmeds.org/pdf-files/facebook-ad-child-overdose. Law A.V., Sakharkar P., Zargarzadeh A., Tai B.W., Hess K., Hata M., Mireles R., Ha C., Park T.J. (2014, Oct 17). “Taking stock of medication wastage: Unused medications in the U.S.” U.S. National Library of Medicine, National Institutes of Health. Kolpin, D.W., Furlong, E.T., Meyer, M.T., Thurman, E.M., Zaugg, S.D., Barber, L.B., Buxton, H.T. (2002, March 15). "Pharmaceuticals, hormones, and other organic wastewater contaminants in U.S. streams." Environmental Science & Technology, 36, no. 6, 1202-1211. Hernando M.D., Mezcua M., Fernandez-Alba A.R., Barcelo D. (2006). "Environmental risk assessment of pharmaceutical residues in wastewater effluents, surface waters and sediments.” Talanta 69: 334-342. Corcoran, J., Winter, M.J. and Tyler, C.R. (2010). "Pharmaceuticals in the aquatic environment: A critical review of the evidence for health effects in fish.” Critical Reviews in Toxicology 40,4: 287-304. Hinck, J.E., Blazer, V.S., Schmitt, C.J., Papoulias, D.M., Tillitt, D.E. (2009, October 19). "Widespread occurrence of intersex in black basses (Micropterus spp.) from U.S. rivers, 1995-2004." Aquatic Toxicology 95, 1: 60-70. Masoner J.R., Kolpin D.W., Furlong E.T., Cozzarelli I.M., Grayc J.L., Schwabc E.A. (2014, Oct 1). “Contaminants of emerging concern in fresh leachate from landfills in the conterminous United States.” Environmental Science: Processes and Impacts 10.